Salads by the sea. Explore keeping your New Year's resolutions while on Edisto. So to ring in the New Year and to accompany the resolutions we all have, we thought we’d share our favorite salads available on Edisto. These are in no specific order of location or favorite. The salad bar at The Waterfront Restaurant. Probably our most frequented due to its budget-friendly price, the salad bar at The Waterfront is exceptional. Our waitress never bothers to bring us a menu because she knows that’s all we ever get there. 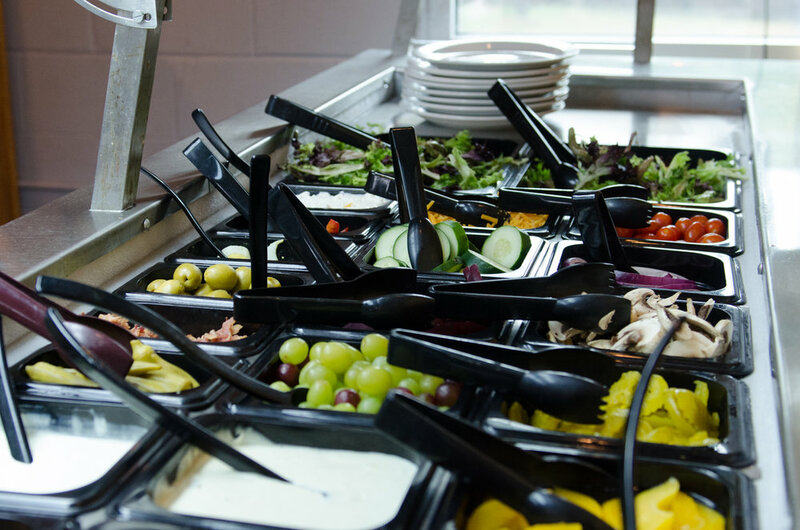 It’s CLEAN and well stocked with fresh greens and a revolving and wide selection of delicious toppings. It’s easy to stick to a low carb salad here since you can create your own salad. Whaley’s is widely known as one of the most favorite restaurants on Edisto. They don’t disappoint with their salads either. They have quite a few to choose from. Most would argue that if you are calorie counting these aren’t going to help you on a diet, but we choose to value the fresh vegetables for their vitamins and nutritional content and ignore those people. The Buffalo Chicken Salad has been in heavy rotation for us this past year. If you are really trying to be good you can get the chicken grilled, but where is the fun in that? This salad, as are all of Whaley’s salads, is huge. Topped with chicken coated in your choice of wing sauce (or get it on the side) fresh tomatoes, almonds, onions and parmesan cheese and your choice of dressing. It is decidedly delicious. If you really want to go elbows deep into the salad world, get the Big Salad with fried oysters. “Fried Oysters on a salad? ?”, you ask. Yes, don’t argue just trust me. This monster comes with ripe avocado, eggs, onion, tomato, bacon, cucumbers, and parmesan cheese. These are just two of their green offerings and all of their salads are great, but I’m running out of blog space and starting to drool. (Clockwise)The Big Salad with Fried Chicken, The Buffalo Chicken Salad with Hot Wing Sauce, The Buffalo Salad with the sauce on the side. The SeaCOW Eatery, world famous for its breakfast is also home to one of the most delicious salads and homemade dressings on the planet. The Moo Cobb Salad with their house made mustard tarragon dressing is out of this world. Artfully presented with grilled chicken, loads of bacon, feta cheese, onions, and hard-boiled eggs, this salad is big enough to split but once you take a bite you will regret sharing. I’ve got no idea what the sugar count in the dressing is but the toppings on this salad make it a good choice for low carb diets. E&O TACO our most recent restaurant to open on Edisto is a little taco stand next door to Ella and Ollie’s on the Golf Course. Only open for lunch they serve some pretty amazing tacos and craft margaritas. The Taco Salad is superb. A fresh flour tortilla bowl presents a beautiful mixture of fresh greens, vegetables, a protein of your choice, a jalapeno mix and guacamole. The cool fresh dressing balances the spice of the southwest zing. If you are a little more tropical try the Mango Tango taco salad topped with delicious fresh mango and a variety of artful salad toppings. 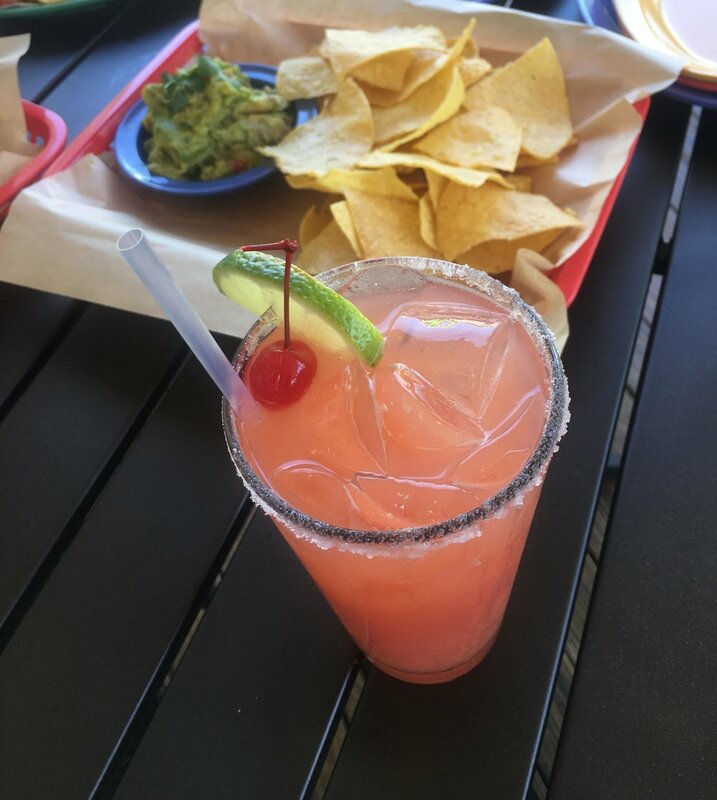 Follow either salad up with one of their fresh and delightful margaritas and you will be ready to finish your day or a round of golf with zip in your step! McConkey’s Jungle Shack, known for its mouth-watering burgers and onion rings, offers salads bursting with flavors. The Oriental Chicken Salad offers a light and refreshing option with fresh greens, cucumbers, juicy mandarin oranges, grilled chicken, tomatoes, mushrooms, onions and crunchy noodles with a honey ginger dressing. The Greek Salad with romaine, feta cheese, onions, black olives, and pepperoncini is savory and delicious. I strongly recommend adding the grilled shrimp to top it off. Combined with their savory greek dressing, this salad is one to remember! 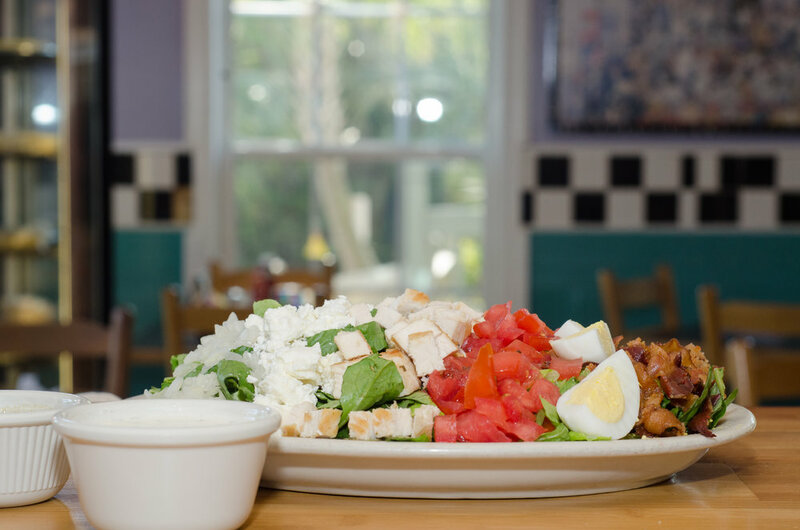 These are not the only salads available on Edisto, but they are our favorites when we go out to lunch after a long morning of Exploring Edisto. 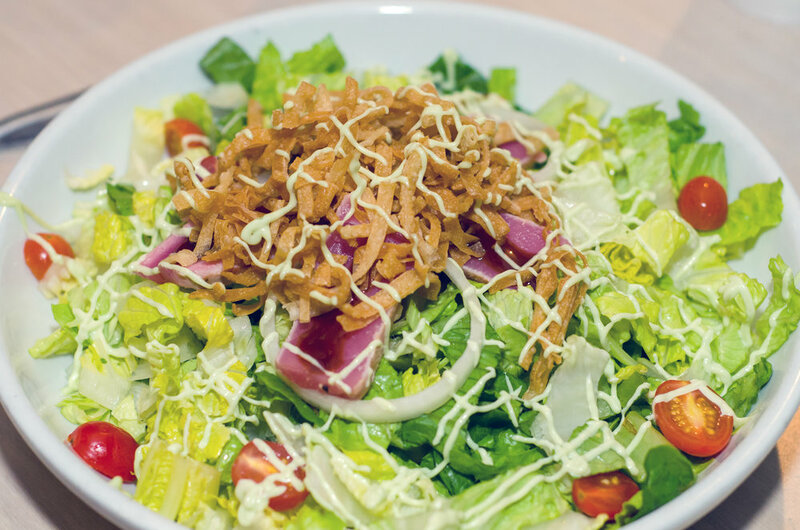 Go find out what your favorite Edisto salad is and share it with us! We are always looking for something new.